SharePoint with Style - 2nd Theme Designer Webinar. 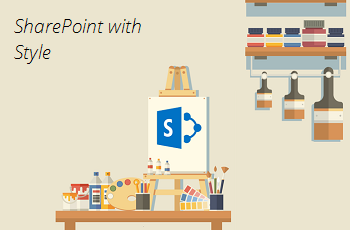 You are working with SharePoint whether On Premises or Online but you are not satisfied with the default look and feel? This Blog post including the related Webinar record is about how to get a nice looking SharePoint User Interface with a couple of clicks. Of course you can use SharePoint Designer or Microsoft Visual Studio to adjust it to your corporate design requirements. But if you do this, you need to have advanced HTML/CSS ls and youeed to change the default layout. Therefore, you are losing the possibility to get automatic updates at least online. If you have a hybrid scenario it is so easy to apply these styles on both platforms, so the user will get the same experience. With skybow Theme Designer you can create multiple themes and apply them very easily whether globally or on specific forms and views. The intuitive designer allows you to change the look and feel in minutes and you will directly get a preview on how it will look like. You want a Theme Designer 30 Days Trial right now? No Problem! In case you missed the Webinar we attached the record down below. Furthermore there were a few questions which were handed in. You can find the questions and the corresponding answers below the video. Again, thanks everyone for attending, and until the next Webinar! Q: Is this a one time fee or annual? Q: Is theme designer compatible with nintex forms and workflow? Q: Will this work with the new modern pages? A: The API’s for modern pages are not open yet, but when Microsoft allows us to do so, we will start working on supporting it. Q: Which permissions are needed to use the Designer on the Site? Q: Do you need any other products from Skybow like base modules etc? A: When you install Theme Designer from the Microsoft Store you need to install the skybow Add-in Foundation, If you install the full trust version from our site (with the same functionalities) you don’t need this Add-In Foundation. Q: If you say the licence is for a tenant and the Office 365 tenant has more than one URL? A: The License is based on the farm/tenant ID. If this is different you’ll need another license. Q: I didn't understand: not designed for publishing pages? A: Theme Designer works does not work for publishing sites, for all other sites, lists and forms it works, just not on the top level corporate intranet publishing pages that can be checked in and out. Q: Can we work with Theme designer on-premises? Q: Apply to masterpage means for whole farm?